There’s no denying that the #MeToo and #TimesUp movements have had a significant impact on Hollywood. But does that mean that the industry is in for a long overdue sea change? Not without taking the right action, and not without raising the right awareness. In “This Changes Everything”, director Tom Donahue and actress Geena Davis — who also founded the Geena Davis Institute for Gender in Media — reveal just how gender-biased the film industry really is, by laying bare the raw statistics and providing essentially irrefutable, numerical evidence as to how female filmmakers, actors and even behind-the-scenes crew members have been systematically discriminated against going back decades. The result is eye-opening, to say the least, but as the film makes abundantly clear, it’s only the tip of the iceberg. Also featuring interviews with some of Hollywood’s biggest names — including Meryl Streep, Viola Davis, Jessica Chastain and Natalie Portman – “This Changes Everything” isn’t just a telling exposé of the dark side of the industry. It’s also an affirming look at how people are willing to come together to change the situation for the better. “This Changes Everything” makes its world premiere at the 2018 Toronto International Film Festival. Its runtime is 1 hr. 37 min. Many thanks to Glenn for the heads-up. While there’s still no official confirmation of Meryl Streep or any of the other stars being on board of Greta Gerwig’s adaptation of “Little Women”, the film team is currently looking for extras in the Boston area for a October-December shoot of the film. Saoirse Ronan, Emma Watson, Florence Pugh, Timothée Chalamet and Laura Dern are in talks to star alongside Streep in the role of Aunt March. While many anticipated that Streep would play Marmie, the March sisters’ mother, she will in fact assume what may be a meatier role. 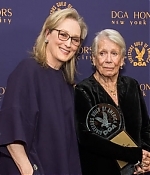 “Meryl Streep gets to play any part she wants to play,” said Robin Swicord, who wrote the 1994 film version of Little Women starring Winona Ryder and Kirsten Dunst. Though Aunt March hasn’t enjoyed nearly as much screen time as Marmie in most previous film and television adaptations of Little Women, Gerwig’s screenplay will focus more on the sisters’ young-adult lives after they leave the family home, which likely means more focus on Aunt March and her very contentious selection of which sister to bring to Europe. The complete article about the Boston casting call can be read over here. Universal Pictures is prepping “Mamma Mia! Here We Go Again” fora 4K Ultra HD Blu-ray and Blu-ray release in the United States on October 23, 2018. International releases should be likewise around the same time since the film opened in most European cities a few days after the US release. The discs will be action packed with special features, have a look at the full list below. You can pre-order your copy on Amazon.com. – Sophie’s Story – Of all the characters, Amanda Seyfried’s Sophie has developed the most since the first movie. Here we will chart how Sophie has gone from a vulnerable young girl to a confident young woman following life-changing events. – Choreographing MAMMA MIA! HERE WE GO AGAIN – Choreographer Anthony Van Laast and his team will reveal some of the secrets behind the highly original dance routines. – Dancing Queen: Anatomy of a Scene – The most famous piano roll in musical history opens one of ABBA’S biggest hits, “Dancing Queen.” The number is the biggest and most complex sequence. Ol Parker will discuss where and how he wanted to use the song in the story. According to Variety, Emma Watson is set to join Greta Gerwig’s star-studded remake of “Little Women.” Sources say Watson is playing the part originally intended for Emma Stone, who was unable to join the project because of promotional obligations for the Fox Searchlight film and award season contender “The Favourite.” With production expected to start next month, Sony moved quickly to approach Watson. Roles are still being worked out and it is unknown which sister Watson would be playing. Gerwig is writing and directing, with Meryl Streep, Laura Dern, Saoirse Ronan, Timothee Chalamet, and Florence Pugh in negotiations to star in Sony’s retelling of the American classic. The project had been set up at Columbia Pictures for some time, with Amy Pascal set to produce with Denise Di Novi and Robin Swicord. Andrea Giannetti will oversee the production for Sony. The novel by Louisa May Alcott, which follows the March sisters in Civil War-era America, has been adapted multiple times for film and television, including the 1994 Winona Ryder version. The BBC’s “Little Women” miniseries aired late last year. Many thanks to Glenn for the heads-up. The sequel to the hit 2008 musical has successfully surpassed a $100 million gross at the US box office, Screen Daily reports. Another $5.8 million was added to its cumulative total this weekend, bringing it to a lively $103.8 million in the US alone. Its global haul is now thought to be north of $280 million. The first movie made around $144.1 million in the US upon its release in 2008 – and while it seems unlikely now that this follow-up will match it, it’s still done very impressively indeed. It’s also still doing well in the UK, after reigning at No1 for three consecutive weekends – beating even Mission: Impossible – Fallout and Ant-Man and the Wasp for a hat-trick of Friday-to-Sunday victories. Whether or not it managed a fourth weekend at the top won’t be announced until tomorrow. Mamma Mia’s success is continuing on the UK album chart too: on Friday it was confirmed that it is at the top of the charts for a third straight week in the UK. 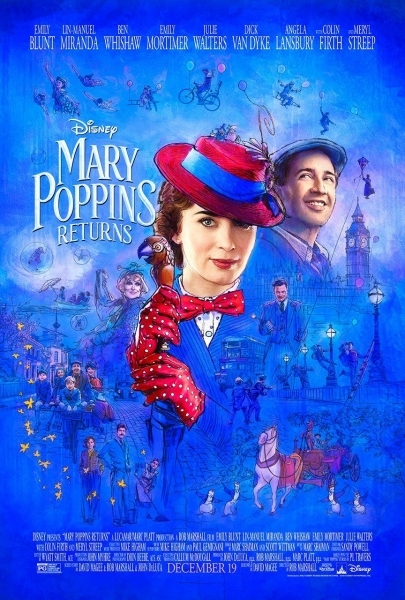 The album contains the cast recordings of all the tracks heard in the movie, plus Lily James singing I Wonder (Departure) and Meryl Streep’s take on The Day Before You Came. The soundtrack to the first Mamma Mia movie is also still in the Top 10, as is the country’s second best-selling album of all time: ABBA’s Gold greatest hits collection. Whether or not the film will be followed by a Mamma Mia 3 remains to be seen, but Amanda Seyfried has said she doubts it could happen without seeming like an obvious money-grab. Thanks to Glenn for the heads-up. Featured, Mamma Mia: Here We Go Again! “Mamma Mia: Here We Go Again” is holding up at the box office at the second spot – adding $4.8 million to its haul – after this week’s release of the new “Mission Impossible” took the predicted first place with moviegoers. But “Mamma Mia” has another market to score – as long as Tom Cruise doesn’t start singing on “MI” – the film’s soundtrack is doing great numbers in various markets, including a No. 1 spot in the United Kingdom, Ireland, Australia and New Zealand. 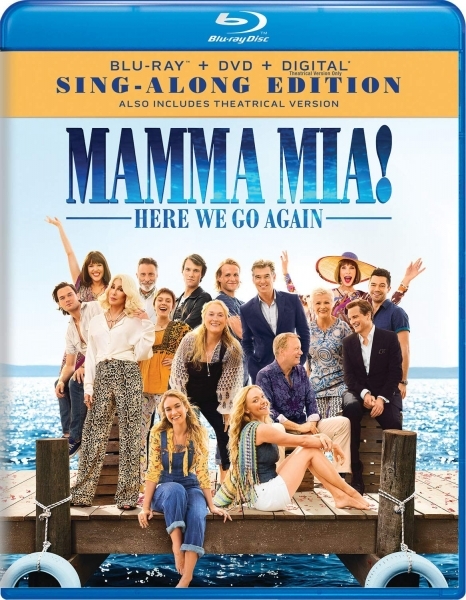 After initially debuting inside the top 10 last week, the soundtrack that accompanies the second Mamma Mia! musical film has bolted to the top of the album chart in the U.K. According to the Official Charts Company, the upbeat collection shifted 35,000 equivalent units this frame, which was enough to land it on the throne. 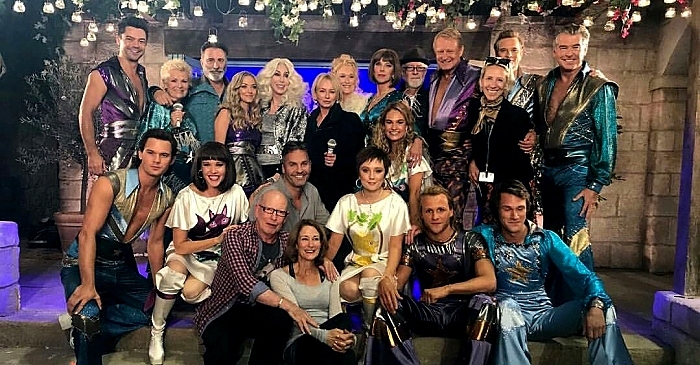 Judy Craymer told OfficialCharts.com: “It is fantastic news that the soundtrack to Mamma Mia! Here We Go Again has gone to Number 1. It’s the celebration of our wonderful cast featuring Christine Baranski, Pierce Brosnan, Dominic Cooper, Colin Firth, Andy Garcia, Lily James, Amanda Seyfried, Stellan Skarsgård, Julie Walters and Meryl Streep – and of course Cher, singing Fernando.” Many thanks to Glenn for collecting all these information. Much appreciated!